Private operator. 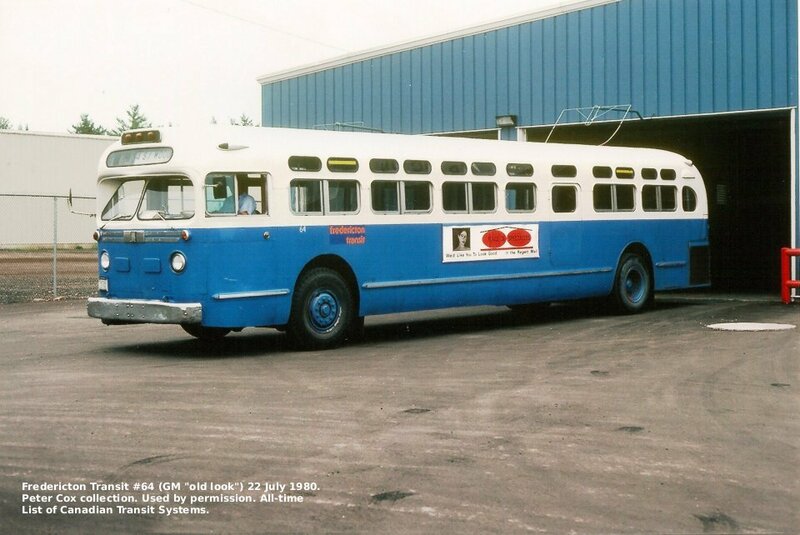 Also operated intercity/rural routes and school buses. (Leger). Pilot demonstration project by Bathurst Sustainable Development and funded by the Federation of Canadian Municipalities and Transport Canada. (website 2005, Bus Industry Vol. 21, No. 79, March 2006, pp. 14-15). 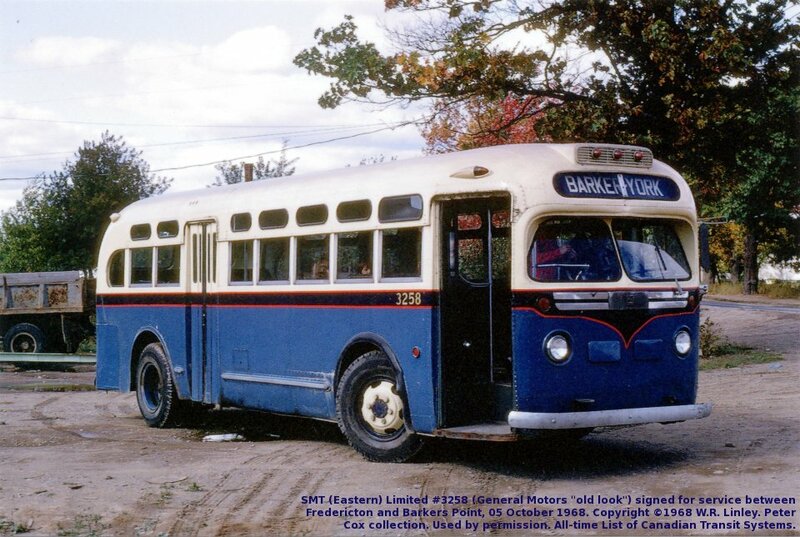 Leger, Paul A., “North Shore Transport Ltd.: Memories of a nearly forgotten bus service in Bathurst, New Brunswick,” Bus Industry , Vol. 21, No. 79, March 2006, pp. 16-17. Owned by Emile T. Cyr and Antoine Richard of Saint-François, NB. 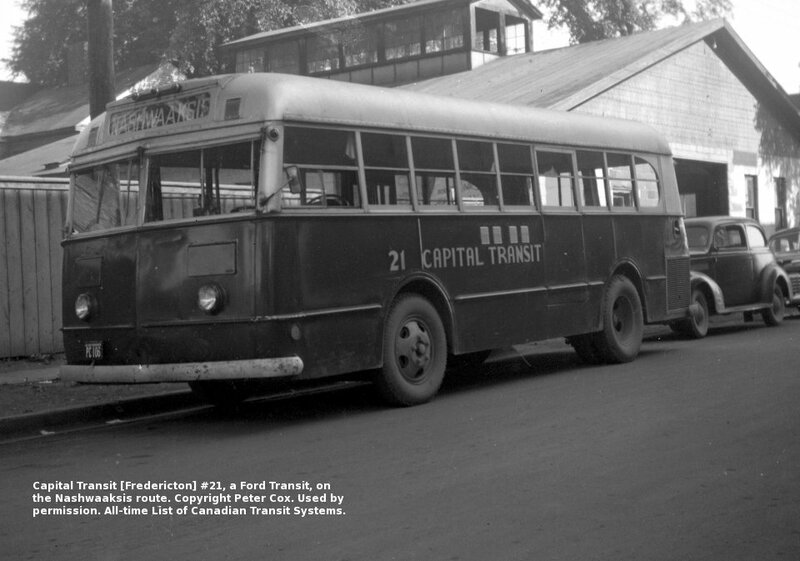 Began bus service on intercity routes from 15 July 1930. (Richard had operated intercity bus service since 1926). Town service in Edmundston was begun in 1946. Firm went bankrupt and service ended in 1953. (Levesque 2015, photo Unravelling the Fresco). Owned by Alfred P. “Fred” Beaulieu of Madawaska, Maine. 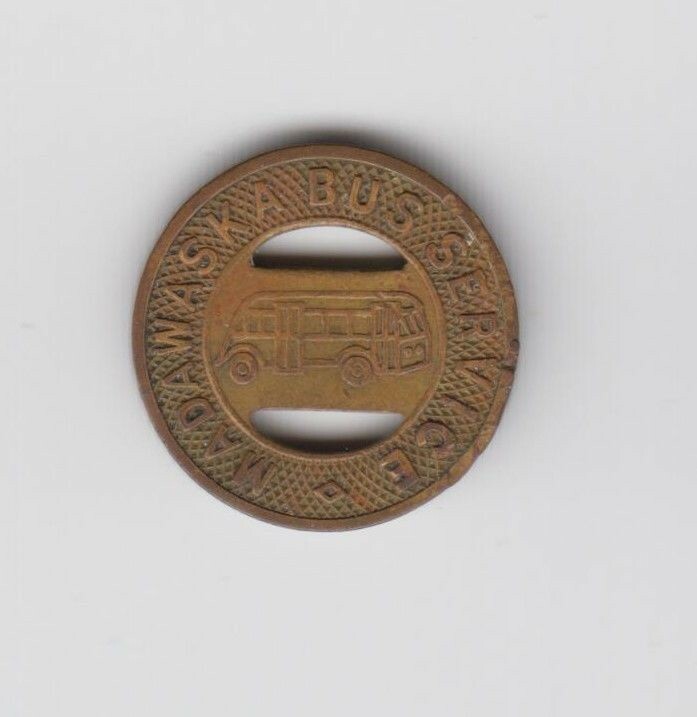 Bus service between Madawaska, Maine, and Edmundston, NB. Ceased operations when its feeder service (MBL) ended. (Levesque 2015, Atwood – Coffee pp. 460, 155). Business begun 1935 by local Vaughan family who operated automobile sales and repair businesses. (photo Peter Cox). Operated for the city in its first year by A.J. McDonald Limited of Cornwall, Ont. (CUTA 1976-77, CUTA 1989, CUTA 1991/2, CUTA 1992, photo: Peter Cox collection). 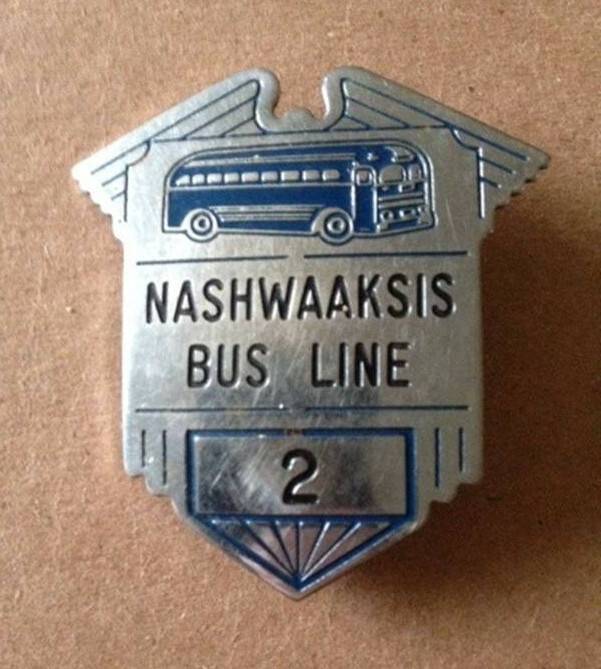 Transit service connecting Nashwaaksis with Fredericton. Unincorporated single bus operation. Owner-operator was initially Shalta Hughson. At his death in 1962 the operating certificate was transferred to Betty Jean Hughson. Operation purchased by S.M.T. (Eastern) Limited June 1965 (BD). Nashwaaksis eventually became part of Fredericton. Miramichi, New Brunswick was formed in 1995 by the amalgamation of Newcastle, Chatham, Douglastown, Loggieville, Nelson, and surrounding rural municipalities. Newcastle to Loggieville via Nelson and Chatham, and Newcastle to Douglastown (CR&MW July 1927, p. 430). (CR&MW May 1930, p. 318). Newcastle to Chatham, Newcastle to Loggieville via Chatham, and Nelson to Douglastown via Newcastle (CR&MW July 1927, p. 430). Provincial regulatory board resolved disputed routes in favour of NBCo (CR&MW Aug. 1927, p 493), which Sutherland ignored (CR&MW Sep. 1927, p. 554). Dispute continued from 1927 through at least 1930 (CR&MW Nov. 1927, p. 671, Mar. 1928, p. 167, Aug. 1928, pp. 498-499, May 1930, p. 318). Somers Bridge to Newcastle (CR&MW May 1930, p. 318). Operations of the Miramichi Public Transit Commission Inc. The summer 1937 timetables for Canadian National Railways includes daily motor train service between Loggieville and Newcastle via Chatham and Nelson [28.3km/17.7mi] arriving at Newcastle at 7:50AM and departing at 4:50PM, with a one-way trip time of 50 minutes. The service is supplemented by two additional daily round trips. This generally meets the definition of a commuter train (weekdaily, rush-hour scheduling and run time under about 90 minutes). This local train service dates from at least 1919. ( Canadian National Railways Folder D effective 27 June 1937, Canadian National Railways Time Tables effective 05 October 1919).